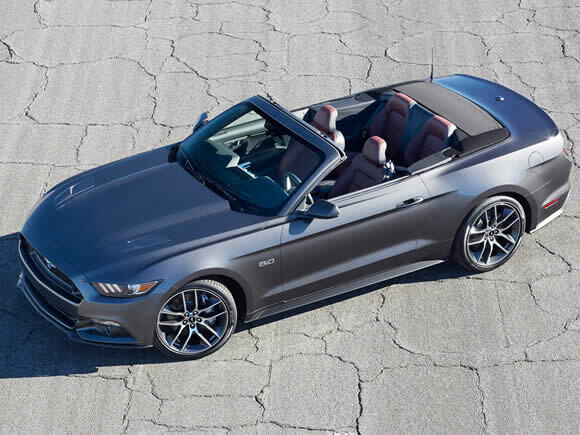 The sixth generation Ford Mustang Convertible is the first to be a truly global car. 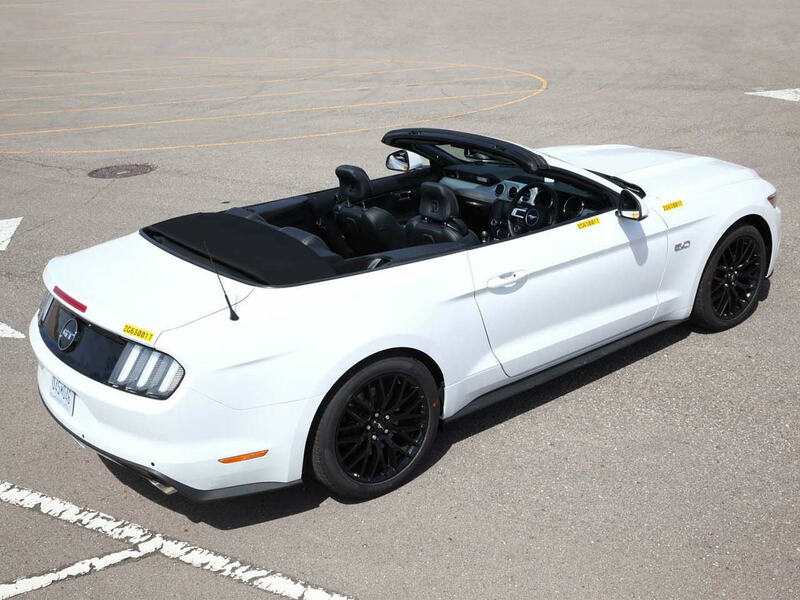 Sold in both left and right-hand-drive form and with engines ranging from an economical 4-cylinder to a more traditional V8, the original pony car has something to offer many different drivers. The visual design of the droptop Mustang is both modern and retro, with sharp details and the latest tech slotted into the car’s traditional proportions. Refinement is much improved, but it needs to be if this car is to compete with Germany’s finest premium convertibles. This is the market that Ford aims to shake up both home and abroad and despite this generation’s large step forward in quality, there is no European restraint in the way this car looks or goes. There is plenty of tech and electronic assistance involved, but the driving experience feels comfortably analogue. The 6-speed manual gearbox is particularly pleasing and is available along with all of the engines. The turbocharged all-aluminium inline 4-cylinder EcoBoost engine has direct fuel injection and punchy performance despite its compact dimensions. 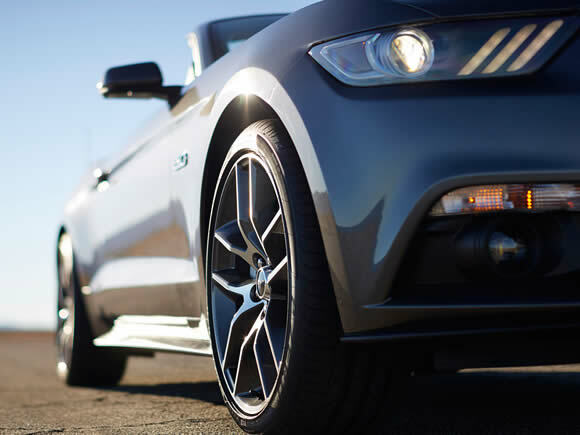 The words Eco and Mustang don't sound like a very easy fit, but this lively engine does not disappoint in terms of response, refinement or economy. Keep in mind however that this remains a heavy car and achieving anything close to the claimed economy figures will involve a lot of restraint. 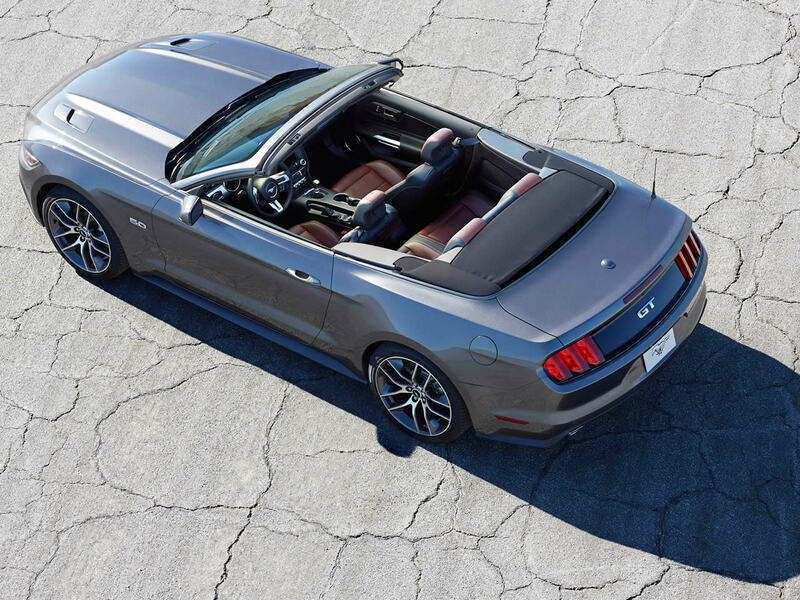 The base model V6 is not available in all markets but remains the least costly route to Mustang ownership. 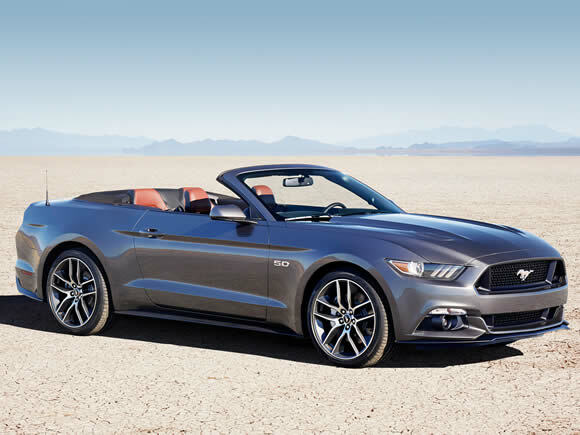 It offers similar performance to the EcoBoost model but can't match its economy figures. Which model will be cheapest during your ownership will depend on the number of miles you cover. The updated Coyote powerplant does its business while making a little less noise than earlier generations, but the GT is a potent machine and no doubt a proper Mustang. The performance is managed very well with the best chassis and transmission this car has ever had. 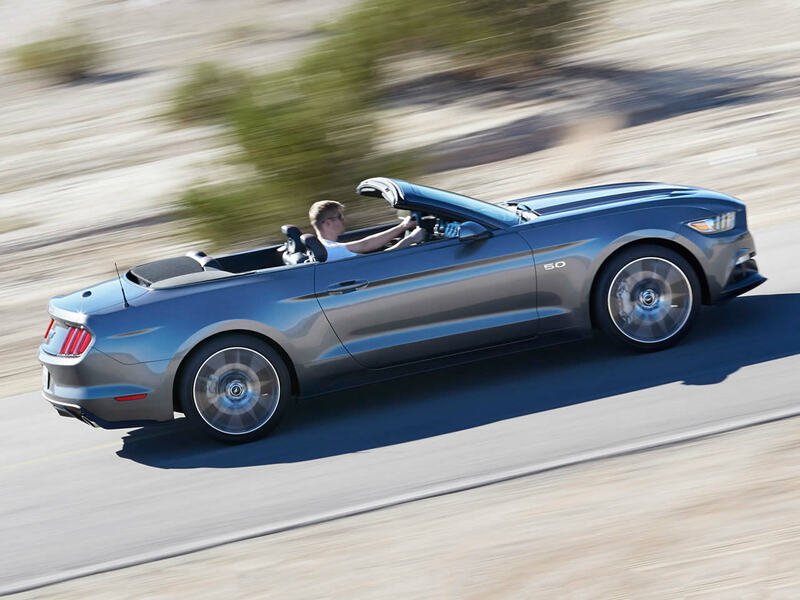 Do you drive a Ford Mustang Convertible? Would you recommend it to others? This Ford already has one owner review, continue the conversation and let us know what you think of the car. I have a 2014 V6 Mustang convertible. Not only is it fun to drive but has been one of the most reliable and trouble free cars I’ve owned.